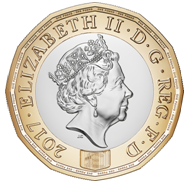 The fifty pound coin (£50) is a commemorative coin of the pound sterling. 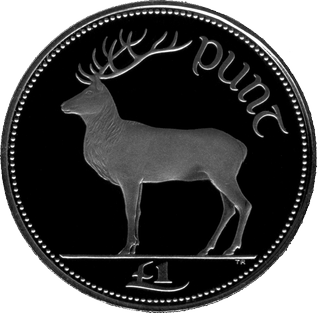 Issued for the first time by the Royal Mint in 2015 and sold at face value, fifty pound coins hold legal tender status but are intended as collectors' items and are not found in general circulation. 100,000 coins will be produced in limited edition presentation. 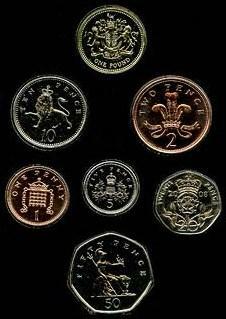 The designs which have appeared on the fifty pound coin's reverse are summarised in the table below. ^ "Britannia 2015 UK £50 Fine Silver Coin". Royal Mint. Retrieved 30 November 2015. The Australian dollar is the currency of Australia, and of three independent Pacific Island states, specifically Kiribati, Nauru, and Tuvalu. It was introduced on 14 February 1966 when the pre-decimal Australian pound, with subunits of shillings and pence, was replaced by the new decimal currency, the Australian dollar.